As you read in my column on Uterine Septum, certain physical abnormalities can occur when the uterus is formed, before birth. At that time, the uterus develops from two primordial bands of tissue called the Mullerian ducts, which fuse together and are then hollowed out to form a single hollow muscular organ. Bicornuate uterus, commonly referred to as a heart-shaped uterus, occurs when these two embryonic tissue cords do not fuse completely. Studies looking at the effect of bicornuate uterus indicate that pregnancy complications do not always occur with this condition; findings suggest that 65-85 percent of women known to have bicornuate uterus have no pregnancy problems. Still, while malformations and other uterine abnormalities can contribute to up to 15 percent of cases with recurrent pregnancy loss, women with normal pregnancy outcomes are rarely screened for this condition. So we don't know the frequency of the condition in women with no pregnancy problems. 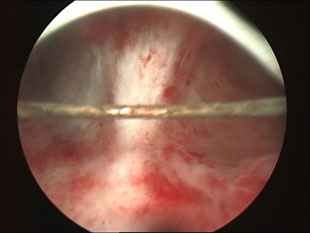 The most common problem associated with bicornuate uterus is premature labor or incompetent cervix (premature dilation of the cervix). 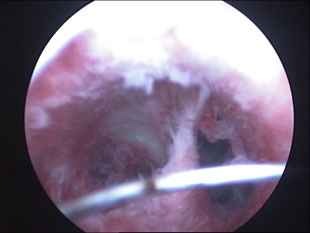 Your physician may consider placing a stitch in the cervix to prevent recurrence of the latter complication. Often the condition becomes less an issue in subsequent pregnancies. For instance, if you delivered at 30 weeks gestation in your first pregnancy, you will likely be able to carry the pregnancy longer in a second pregnancy. 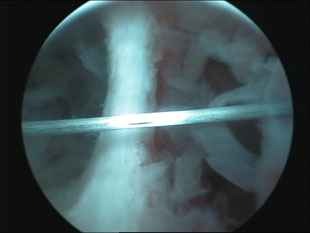 While bicornuate uterus can be corrected with metroplasty (a procedure to join the two uterine halves), this requires open-abdominal surgery, which can weaken the uterus and result in pelvic adhesions that in themselves can reduce the odds of pregnancy. If a woman becomes pregnant after metroplasty, a cesarean section would be necessary for delivering a fetus as soon as it develops mature lungs. Because of these concerns, surgery is rarely recommended.